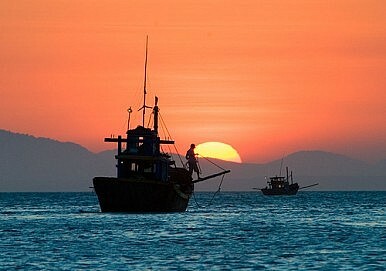 Ever since the South China Sea disputes resurfaced a few years ago, country after country has insisted that the issue be managed, clarified and resolved in line with international law. From Jakarta to Tokyo, Washington to Brussels, Singapore to Seoul, Canberra to New Delhi, the refrain has been broadly familiar – the solution to security tensions near the world’s busiest sea-lanes needs to involve a rules-based order. Yet for a full two months since one claimant country decided to put this idea into practice, the rule-of-law cheer squad has been strangely mute. On January 22 this year, Manila notified Beijing that it would be seeking international arbitration under the United Nations Convention on the Law of the Sea. The process is due to go ahead in ITLOS, an international tribunal under that convention, not in the International Court of Justice, because that would require the consent of both parties. China is most pointedly withholding its consent. It is refusing to acknowledge the proceedings. Why the almost worldwide silence? One explanation is that not encouraging the Philippines will help perpetuate regional stability, however fragile that may be. The logic here is that a public round of praise for Manila’s decision to take legal action would further isolate China, adding to its perceptions of being encircled and therefore playing to the arguments of China’s hawks. But surely a chorus of moral support for the principle of international arbitration under a UN convention could also feed into the necessary debate in China about its self-inflicted failures in projecting a non-threatening image to the world. Another argument is that this bid will damage further the prospects for the Association of Southeast Asian Nations (ASEAN) and China to negotiate a binding code of conduct to manage South China Sea disputes. If this really amounts to the Philippines letting down ASEAN, surely it can say it was let down by ASEAN first. After last year’s debacle, in which China successfully used Cambodia as its proxy to prevent ASEAN consensus in support of a binding code, what are the prospects for a serious agreement anyway? In the South China Sea, as in the East China Sea, Chinese maritime agencies seem repeatedly to have used the risk of an incident at sea as a tool of policy, a tactic to draw attention to China’s claims – and there’s no evidence yet they are willing to give that instrument away. Manila’s quest could take several years of legal proceedings, but it is not quixotic. The submission was carefully put. It is not asking for maritime boundaries to be delineated. Instead, it is asking for a ruling on the validity under UNCLOS of China’s expansive ‘Nine-Dashed Line,’ and on whether the land features in the South China Sea are rocks or submerged features rather than islands. Of course, this latter point would affect the limits of the territorial waters that China could claim. In addition, the Philippines has submitted that China is occupying rocks, not islands, on the contested Scarborough Reef, that China is building illegal structures on submerged features, and that Chinese harassment of Philippine nationals at sea is also illegal under UNCLOS. Unless China or others somehow persuade it to withdraw its case, the Philippines presumably stands a chance of eventually obtaining a ruling that suits its interests on one or more of these points. Even if China refuses to recognize the outcome, this could still provide precedent and arguments for other countries to advance in other circumstances. Even that could prove to be in the wider interests of a rules-based maritime order for the Indo-Pacific commons. It would be curious to see which countries, silent now, might welcome such an outcome.